As we head into state testing season, you’re most likely going to be in a classroom with no students or proctoring a testing room full of students and looking for a way to pass the time. We at Edmentum think it is a good time to bring back one of our favorite series of posts dedicated to helping teachers fill their reading lists with inspiring, insightful, or just plain entertaining books around topics dominating education today. 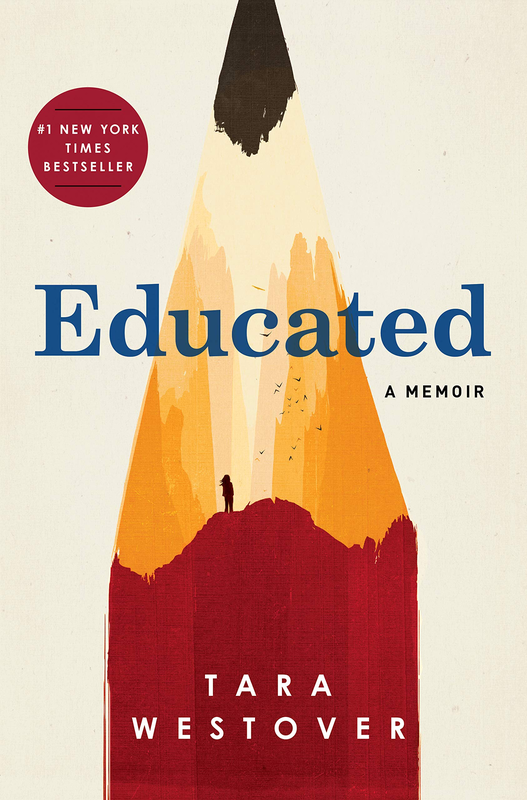 2018’s “best book” lists were dominated by this memoir. Westover grew up in a family of survivalists in the mountains of Utah devoid of any sort of practical education. She and her siblings never attended school; they were taught to read and do basic arithmetic by their mother and only studied the Bible. She began educating herself and claimed her independence. Eventually, she was able to gain admission to Brigham Young University, where the learning curve was steep to say the least (her chapter about learning of the Holocaust for the first time as a freshman will stay with you). She then moved on to graduate work at Oxford, becoming ostracized from most of her family in the process. If you ever doubt the power of education, read this book. 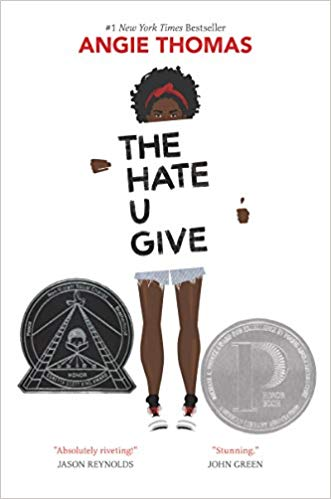 Perhaps the most popular (and controversial) young adult book of the decade, The Hate U Give tells the story of Starr Carter, the only witness to a white police officer shooting and killing her black friend. Protests and riots erupt, and Starr finds herself in the middle of a political maelstrom. She is dealing with the pressure of what to say and not say about the shooting while trying to balance being one of only a handful of black students at her private school and dating a white boy. No matter your race, you will no doubt think differently about the current state of cultural relations in the country after reading this book. Once you’re done with The Hate U Give and its story of race relations, you may feel like improving your own classroom practice regarding cultures different than yours. Culturally responsive teaching has gained more traction as the diversity of the nation’s schools has grown. 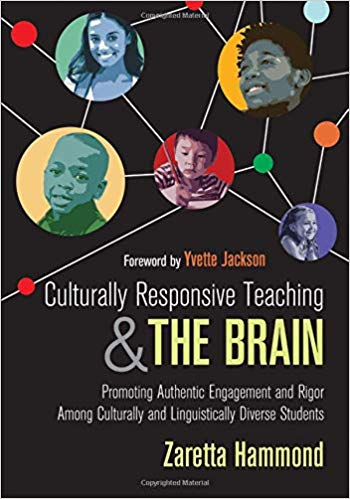 Featuring neuroscientific research and real-world examples, this book promises to help you better engage your students, no matter where they come from or what their abilities are. 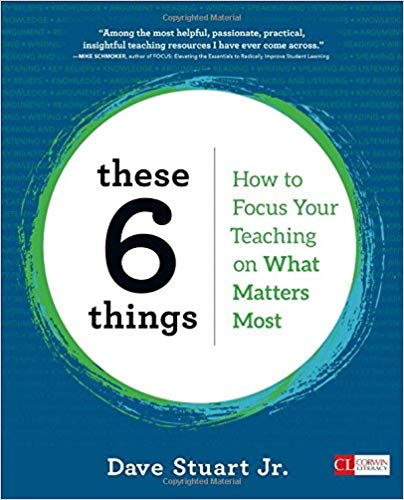 These 6 Things: How to Focus Your Teaching on What Matters Most by Dave Stuart Jr.
Teachers are dragged in a hundred different directions every day while being told that every one of them is a priority. It can be tough to figure out what truly matters in the classroom and what is just a fad or political mandate. Stuart boils down teaching to six practices that, when focused upon, can help educators not only flourish in their careers but also stay sane and dedicated in the process. Those who subscribe to the practice of inquiry-based learning say that it can be the key to lifelong educational success for every student due to its fanning the flames of curiosity. This book focuses on a simple premise: everyone is naturally curious at a young age. 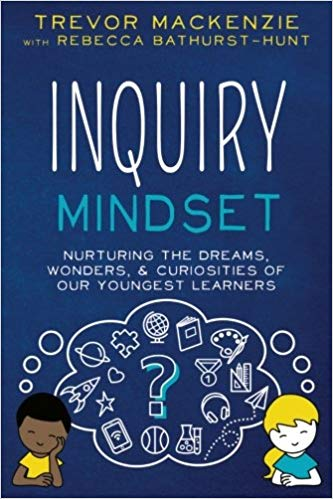 Where does curiosity go, and how can we as educators make sure that our younger students not only stay curious but also adopt that mindset throughout their lives? It is full of examples on what an inquiry-based learning classroom looks like and how to adapt the practice to your needs. Looking for some more ways to squeeze in some quick professional development? Check out these six inspiring educators to follow on Twitter!